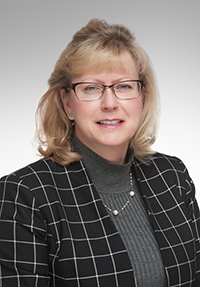 With over 35 years of industry experience, Gray most recently served as Vice President, Treasury Management Sales Officer at Citizens Bank, having previously held officer positions in Treasury Management and Business Banking at TD Bank. Gray began her career at a community bank in the Seacoast Region and was enticed to return to her community banking roots to further her passion for community involvement and attention to relationship management. In addition to her business banking experience, Gray was previously involved with the Great Bay Chapter of the American Red Cross in business development and looks forward to engaging with her local community again in her new role. She has served on the local board of directors for the American Cancer Society, American Red Cross and Portsmouth N.H. Chamber of Commerce. Gray holds a master’s degree in organizational leadership from Southern New Hampshire University and a certificate in non-profit leadership. In her spare time, she enjoys skiing, golfing and cooking. Camden National Bank’s Commercial Banking Group has 23 commercial bankers located in 12 lending centers throughout Maine and New Hampshire. With a lending capacity of over $35 million, the Commercial Banking team has broad experience in areas such as asset based lending, construction and commercial real estate development lending, equipment financing, and commercial mortgages. In addition, the team can meet all the financial needs of its customers with additional services such as business deposit products, merchant services, and extensive treasury management services. Camden National Corporation (NASDAQ:CAC), founded in 1875 and headquartered in Camden, Maine, is the largest publicly traded bank holding company in Northern New England with $3.9 billion in assets and nearly 650 employees. Camden National Bank, its subsidiary, is a full-service community bank that offers an array of consumer and business financial products and services, accompanied by the latest in digital banking technology to empower customers to bank the way they want. The Bank provides personalized service through a network of 61 banking centers, 78 ATMs, and lending offices in New Hampshire and Massachusetts, all complimented by 24/7 live phone support. Comprehensive wealth management, investment, and financial planning services are delivered by Camden National Wealth Management. To learn more, visit CamdenNational.com. Member FDIC.